← 82 Adam Smoliński – Agnimir. Gleby, czyli: Jak to z tym tzw. Żyznym Półksiężycem było? 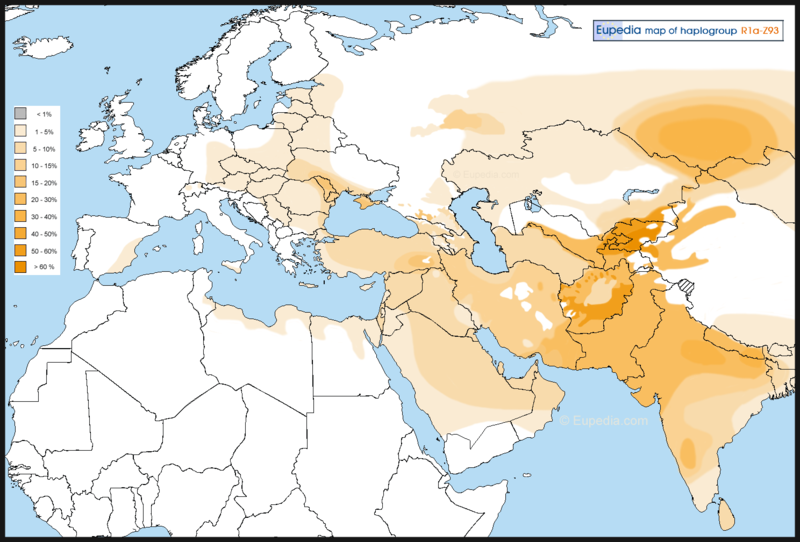 Haplogroup R* originated in North Asia just before the Last Glacial Maximum (26,500-19,000 years before present). This haplogroup has been identified in the 24,000 year-old remains of the so-called „Mal’ta boy” from the Altai region, in south-central Siberia (Raghavan et al. 2013). This individual belonged to a tribe of mammoth hunters that may have roamed across Siberia and parts of Europe during the Paleolithic. 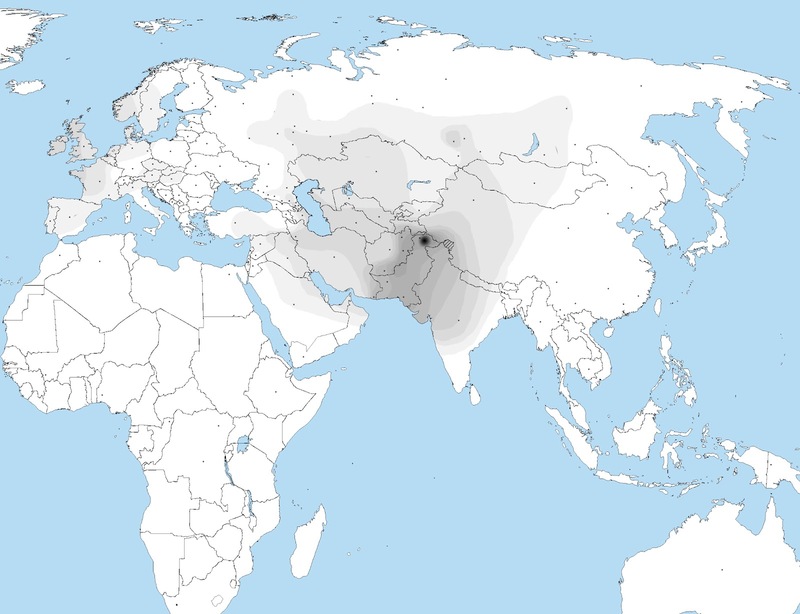 Autosomally this Paleolithic population appears to have contributed mostly to the ancestry of modern Europeans and South Asians, the two regions where haplogroup R also happens to be the most common nowadays (R1b in Western Europe, R1a in Eastern Europe, Central and South Asia, and R2 in South Asia). 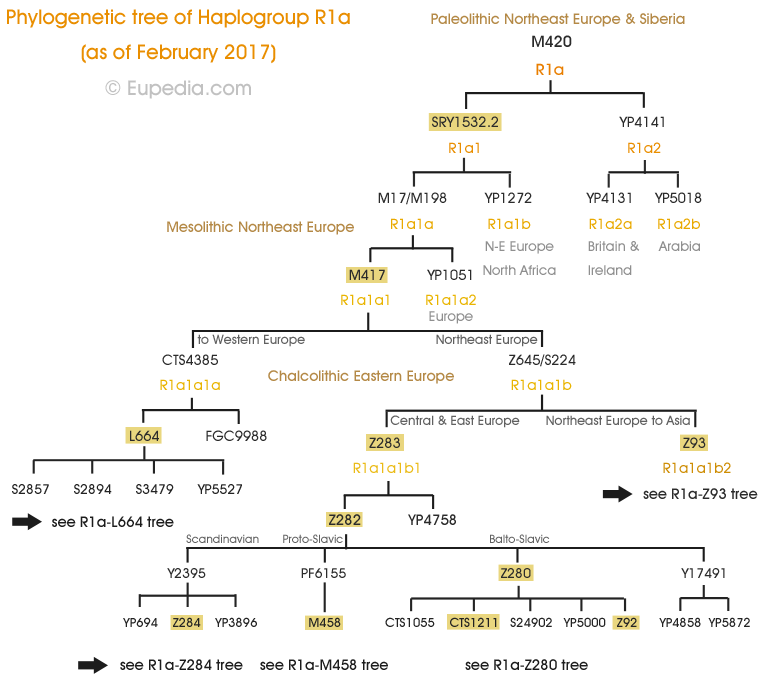 Haplogroup R1a probably branched off from R1* during or soon after the Last Glacial Maxium. Little is know for certain about its place of origin. Some think it might have originated in the Balkans or around Pakistan and Northwest India, due to the greater genetic diversity found in these regions. The diversity can be explained by other factors though. The Balkans have been subject to 5000 years of migrations from the Eurasian Steppes, each bringing new varieties of R1a. South Asia has had a much bigger population than any other parts of the world (occasionally equalled by China) for at least 10,000 years, and larger population bring about more genetic diversity. The most likely place of origin of R1a is Central Asia or southern Russia/Siberia. From there, R1a could have migrated directly to eastern Europe (European Russia, Ukraine, Belarus), or first southward through Central Asia and Iran. In that latter scenario, R1a would have crossed the Caucasus during the Neolithic, alongside R1b, to colonise the Pontic-Caspian Steppe. In the absence of ancient Y-DNA from those regions the best evidence supporting a Late Paleolithic migration to Iran is the presence of very old subclades of R1a (like M420) in the region, notably in the Zagros mountains. However these samples only make up a fraction of all R1a in the region and could just as well represent the descendants of Eastern European hunter-gatherers who branched off from other R1a tribes and crossed from the North Caucasus any time between 20,000 and 8,000 years ago. The logic behind this is that most known historical migrations in Eurasia took place from north to south, as people sought warmer climes. The only exception happened during the Holocene warming up of the climate, which corresponds to the Neolithic colonisation of Europe from the Near East. A third possibility is that R1a tribes split in two around Kazakhstan during the Late Paleolithic, with one group moving to eastern Europe, while the other moved south to Iran. This East European component represents about a third of the Mesolithic European admixture in the Dodecad K12 calculator, the rest being made up of the Northwest European above. 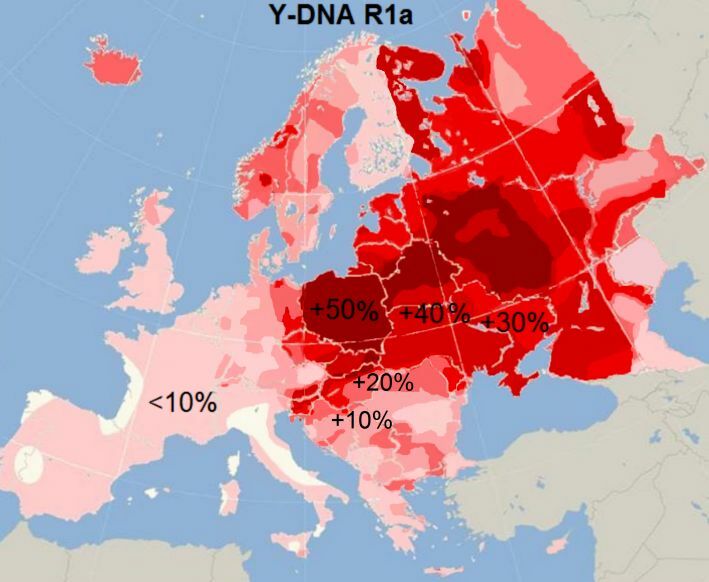 Note the resemblance with the distribution of Y-DNA haplogroup R1a. Zaprzeczysz, że R1a-Z645 jest ojcowskie dla Z282 i Z93 i że znalezione zostało w próbkach jakieś 500 lat starszych od najstarszego Z93, znalezionego w Poltavka outlier? An important preprint has just appeared at bioRxiv. It includes ancient DNA from four Estonian Corded Ware Culture (CWC) individuals from two different sites. These CWC samples belong to Y-haplogroup R1a-Z645, which is the most common type of R1a in the world today, including South Asia, despite a relatively recent coalescent time of 5,400 yr BP. One of the samples is further classified as belonging to . Almost 100% of the modern-day Eastern and Central European R1a belongs to this subclade. 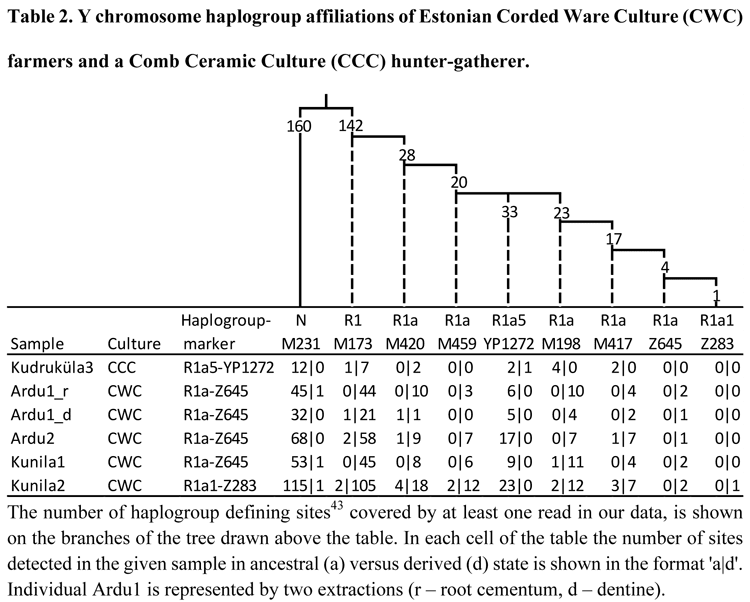 All four of the Estonian CWC individuals could be assigned to the R1a-Z645 sub-clade of hg R1a-M417 which together with N is one of the most common Y chromosome haplogroups in present-day Estonians (33%)  . Importantly, this R1a lineage is only distantly related to the R1a5 lineage we found in the CCC sample. The finding of high frequency of R1a-M417 in Estonian CWC samples is consistent with the observations made for other Corded Ware sites that, along with Late Bronze Age remains associated with Sintashta Culture, also show high frequency of hg R1a-M417 [2,25]. 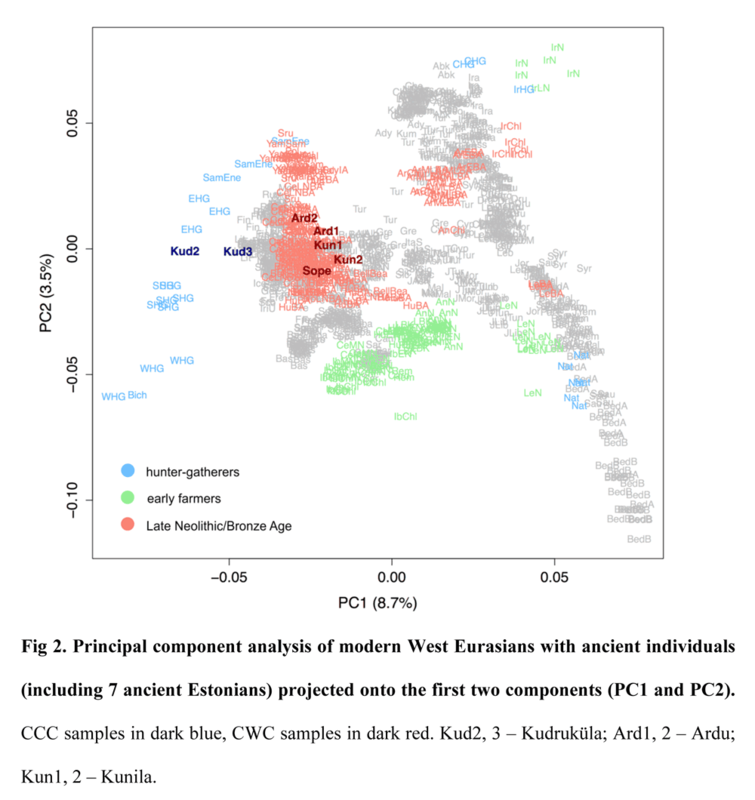 The coalescent time for the R1a-Z645 clade, estimated from modern data at 5,400 yr BP (95% CI 4,950–6,000) 43 , predates the time when the CWC individuals carrying the R1a-Z645 lineages lived in Estonia (4,000–4,800 yr BP). The fact that all four of the CWC male individuals from two distinct sites in Estonia belonged to this recently expanded R1a branch, different from the one carried by CCC, suggests that admixture between CWC farmers and CCC hunter-gatherers may have been limited at least in the male lineages during the early stages of farming in Estonia. Now, can anyone explain to me how the authors came to this conclusion? Was it based on their ADMIXTURE output? Furthermore, the presence of a genetic component associated with Caucasus hunter-gatherers and later with people representing the Yamnaya Culture in Eastern hunter-gatherers and Estonian CCC individuals means that the expansion of the CWC cannot be seen as the sole means for the spread of this genetic component, at least in Eastern Europe. If it is indeed based on ADMIXTURE, then they really need to back it up with some robust formal stats and qpAdm, because ADMIXTURE is not a formal mixture test. Moreover, they used the projection (P) option in their ADMIXTURE analysis. I’m not a huge fan of this option when running fine scale intra-continental analyses, because I find that it usually results in severe projection bias. In other words, the test samples are treated differently from the reference samples, and essentially show results that they shouldn’t. Speaking of projection bias, I’m quite certain that their Principal Component Analysis (PCA) suffers from it. The ancient samples look like they’re being pulled into the middle of the plot, so much so that one of the foragers basically clusters with modern-day Lithuanians, while the CWC individuals appear too western. They need to fix this. I do note that the authors used the lsqproject option when running their PCA. A lot of people assume that once they do this they’ve taken care of projection bias. This is not so. lsqproject doesn’t solve this problem; it just makes sure that missing markers don’t skew the projection. Zobacz to, bo to jest ciekawe bardzo, z wielu powodów, np. omawia „stepową domieszkę” odnajdywaną we wcześniejszych próbkach, jak i jest dowodem, że Davidski zmienił zdanie, co do CWC, które teraz wg niego pochodzi nie od Yamnaya, ale od Sredny Stog, czyli logicznie wcześniej z Bug-Dnieper culture!!! UWAGA!!! CT [R?] lub R1b1 lub C …..
Corded Ware Poland Oblaczkowo [RISE1] M 2865-2578 BC R1b R1b1 (L1345+) K1b1a1 73G, 152C, 263G, 709A, 1438G, 1811G, 2706G, 3480G, 3967A, 9962A, 10289G, 10550G, 11299C, 11467G, 11719A, 11923G, 12372A, 13967T, 14766T, 14798C, 15257A, 15326G, 16093C, 16224C, 16463G, 16519C Allentoft 2015; Y-DNA personal communication from author + additional info from Richard Rocca and Sergey Malyshev, citing Karmin 2015 for status of the SNP. UWAGA!!! J lub I lub G??? …..
UWAGA! Ten jest dziwny, bo niby co R1a1a1, czy R1a1: M459, czy R1? ….. UWAGA!!! R1a-Z645 i R1a1a1 Z283 ….. UWAGA!!! R1a1a i R1a i R1a1 i P1 i R1a1a1*….. UWAGA!!! K(xLT) M526 ?!! ….. UWAGA!!! Czyżby najstarszy N1C znaleziony w Europie?!! UWAGA!!!! R1a-Z93 among priestly castes of Hinduists and Jews. Kyrgyz are recent arrivals to central Asia from Altai. Their cultural and linguistic cousins Khakassians that are still living in Altai mountains also have plenty of Z93. I’d say Kyrgyz got their Z93 markers from people of Afanasevo. Norwegians have almost entirely z284 marker. Afanasievo was R1a-M417* IMO. Hence the R1a-M417* in the Tarim mummies. Andronovo were a different, later group from the Ural steppe, and they carried Z93. Afanasievo was R1a-M417* IMO. Hence the R1a-M417* in the Tarim mummies. Andronovo were a different, later group from the Ural steppe, and they carried Z93. M417 is an ancestral branch to both z282 and z93. The age of Z282 and z93 mutations fit the time frame of the Afanasievo culture. It remains to be seen what markers Afanasievans had down M417 tree. The important bit of information is eastern origin of Afanasievans. IMO both Kyrgyz and Khakassians would be more similar to Afanasevans than east Europeans and many south Asians at genome-wide comparison. Wysłany 2017-12-11 by SKRiBHa	• Ten wpis został opublikowany w kategorii DzieJe, GeNe+TyKa, Je"ZyKo+ZNa+WSTWo, KRo+NiKi, Z'+RoD+L"o+SL"oW i oznaczony tagami "Polacy", Afanasevo, Alexandria, allo-allo, Anatolia, Andronovo, Ariowie, Baltic Corded Ware: rich in R1a-Z645, Battle Axe Sweden, Belarus, Bug-Dnieper culture, C, Caucasus hunter-gatherers, Central Asia, Chalcolithic farmers, CHG, Comb Ware, Corded Ware Estonia, Corded Ware Germany, CT, Cucuteni–Trypillia, CWC, Davidski, Dereivka, Dnieper-Donets culture, dr Piotr Makuch, Eastern European hunter-gatherers, EHG, EHG marker, Eneolithic, Estonian CWC, Eulau, European Russia, G, GeNe+TyKa, haplogroup R1a, Harju, http://eurogenes.blogspot.co.uk, I, I2a2a1b, I2a2a1b1, Iran, Iron Gates, J, j. Pra-Indo-Europejski, j. Pra-Słowiański, Jagodno, język Pra-Indo-Europejski, język Pra-Słowiański, Karasuk, Karelczyk, Khvalynsk, Kunila, L"o"K, L"ysy, L657, LaC', LACH, LaS, Last Glacial Maximum, Late Bronze Age, Late Paleolithic, LeC', Lech, len, LeS"+y, Leszy, Leż, Licho, Lis, Lokomotiv, Los, Lży, Lęg, M17, M198, M417, M420, mammoth hunters, Mesolithic, Mongolia, mtDNA, N1c, Neolithic, Neolithic farmers, North Caucasus, Northeast European autosomal admixture, Obłaczkowo, Od Ariów do Sarmatów. 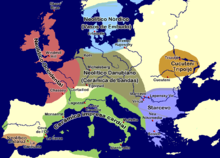 Nieznane 2500 lat historii Polaków, Orły, Orły / Ariowie, Północna droga R1a, PIE, PIE = Proto-Slavic, pobożne życzenia, Polanie Kijowscy, Poltavka, Poltavka outlier, Potapovka, południowa droga R1a, Proto-Indo-European, Proto-Indo-European language, Proto-Slavic, Proto-Unetice, przeciw-słowiańska propaganda, przeciw-słowiańskie krętactwa, przeciw-słowiańskie kłamstwa, PS, Q1a, R+, R1, R1a, R1a-M17, R1a-M417, R1a-Z282, R1a-Z283, R1a-Z645, R1a-Z93, R1a-Z93 among priestly castes of Hinduists and Jews, R1a1* M459+, R1a1a1, R1b, R1b1, R1b1a, R1b1a1a2a2, Romania, Rosja, Russia, S224, Samara, Sarmaci, Scytowie, Serteya, Sintashta, Sintashta culture, Sredny Stog, Sredny Stog II, Srubnaya, Srubnaya culture, step, steppe, Słowianie, Słowiańszczyzna, Słuch, Tarim mummies, Ukraine, uprzedzenia przeciw-słowiańskie, Ural, Urnfield, Varna culture, Vasilyevka, Y-DNA, Yamnaya, Yuzhnyy Oleni Ostrov, Z/S+L"o"(c)H, Z282, Z283, Z645, Z93, zapożyczenia od-irańskie, Łuk, Łyk, Łyko, Łza, Łąka. Dodaj zakładkę do bezpośredniego odnośnika. Na blogu Cz.Białczyńskiego kilka dni temu odtrąbiono sukces pt. Dzień w Którym Profesorowie Polscy Przeszli na Stronę Turbosłowian. Odbyła się zażarta dyskusja (ponad 80 komentarzy jak dobrze pamiętam). I ja tam byłem i swoje trzy grosze wtrąciłem. Zauważył to Pan cytując mój pierwszy komentarz na blogu Słowianie Genetyka Haplogrupy, oceniając, że to „komentarz, który ma największy sens”. To miłe dla mnie. Dziękuję. Dlatego zwracam się do Pana z prośbą o opublikowanie moich dwóch kolejnych komentarzy w tej dyskusji, jeżeli Pan uzna, że warto. Zgóry dziękuję i pozdrawiam. Chciałbym uprzejmie zauważyć, a raczej przypomnieć, że post nosi tytuł: Dzień w Którym Profesorowie Polscy Przeszli na Stronę Turbo-Słowian… To brzmi jak odtrąbienie sukcesu. Tyle, że tu nie widać żadnego sukcesu środowisk Słowiańskich/Lechickich Powinniśmy w dyskusji o tym pamiętać, że ta książka to nic innego jak próba MODERNIZACJI czy raczej REANIMACJA ultrakatolickiej nauki o cywilizacjach Feliksa Konecznego. Dlatego zadaję sobie pytanie – Co ma wspólnego żywa, witalna cywilizacja słowiańska z wymyśloną, teoretyczną cywilizacją łacińską? A czy Pan widział ten film, a szczególnie czy słyszał, jak w chyba 3 zdaniu mówię, ze tytuł jest PROWOKACYJNY? Prowokacja, to taka technika wywołująca wilka z lasu i powodująca, ze ludzie powiedzą i pomyślą coś, czego bez prowokacji by nie powiedzieli. Stosowane w na przykład w sztuce. Strach przed byciem wykorzystanym jest dobry, ale to tylko strach. Lepiej wykorzystać na swój rachunek sukces innych. Witam Pana. Widzę, że drąży Pan temat jakby coś Pana dręczyło. Obejrzałem Pański film i z uwagą wysłuchałem co miał Pan do powiedzenia. Potwierdzam to co Pan napisał w swoim komentarzu. Rzeczywiście użył Pan słów: „tytuł jest bardzo mocny, nośny, troszeczkę PROWOKACYJNY” oraz: „ale tak bezpośrednio do tego zostałem SPROWOKOWANY artykułem – Czy Polacy to Ariowie?”. Niestety, muszę z żalem stwierdzić, że dał się Pan wpuścić w maliny „fałszywemu prorokowi”. Przeczytałem bowiem, po raz drugi ten POKRĘTNY artykuł w NCz pt. „Ariowie, czyli Polacy”. Tytuł nie jest pytaniem „Czy Polacy to Ariowie?” lecz zdecydowanym STWIERDZENIEM, które brzmi – ARIOWIE, CZYLI POLACY! Ciekawe co na to Bramini z Indii gdy się dowiedzą, że są Polakami? W związku z tym podtrzymuję swoje wątpliwości i zastrzeżenia o których już pisałem wcześniej. Czy na tym ma polegać ta artystyczna prowokacja Panie Marianie? Eureka! Panie Marianie, E-U-R-E-K-A!!! W średniowieczu DOBROWOLNIE przyswoiliśmy sobie dorobek wiodących wówczas ośrodków. No proszę, co za odkrycie profesora M. Kowalskiego, na wskroś Słowiańskie odkrycie. Ba! Turbosłowiańskie nawet….nie da się ukryć. W tym miejscu nasuwa się pytanie fundamentalne – skoro MY POLACY, DOBROWOLNIE przyswoiliśmy sobie dorobek RZYMU i KRK to o co tak naprawdę dzisiaj właściwie walczą Turbosłowianie? No proszę – Międzymorze rozciągające się od Hamburga po Władywostok. Tego jeszcze nie grali w żadnym theatrum politicum! To wszystko z mojej strony w sprawie Ariów czyli Polaków. Już dawno jest to zrobione, proszę odświeżyć stronę. Każdy robi błędy, a przy okazji jestem SKRiBHa i nie trzeba mi paniać. Tak ma Pan rację. To jest towarzystwo wzajemnej adoracji. To widać i czuć na odległość. Wydaje się, że p. Czesław B. ma bardzo dużo do stracenia. Cały SIStan mu się wali w gruzy i co wtedy? Jego książki na makulaturę? Ludzie lubią czytać i wierzyć w fantastyczne opowieści. Ja lubię je niszczyć, bo chcę dochodzić do prawdy, a fantastyczne opowieści mnie nie bawią, po to między innymi napisałem ten wpis i inne temu podobne. Ruski troll powiada Pan? Na dodatek głupi? Proszę zwrócić uwagę na ostatni akapit mojego komentarza gdzie odnoszę się do przedstawionej przez Kowalskiego, koncepcji Międzymorza. Międzymorza od Hamburga do Władywostoku. I to PROPAGUJE na swoim blogu Czesław B.! Czyżby miała rację komentatorka ZOSIA, która nazwała go kiedych „kacapskim agentem”? Nie gadamy tu o polityce, chociaż wiem, że jedno wynika z drugiego. Skupmy się na analizie danych. Przypadło mi do gustu to stwierdzenie, „że jest możliwe, że za tzw. Polanami Kijowskimi, patrz R1b tzw. Piastów, część podkładów R1b odnajdywanych na terenie obecnej Polski MOŻE MIEĆ POCHODZENIE OD-SARMACKIE. ” Taka sekwencja historycznych zdarzeń, moim zdaniem jest wielce Prawdopodobna i możliwa. Kiedyś wpadła mi w ręce książka „Wczesne dzieje Polan”, w której autor dowodzi, że podboju ziem wielkopolskich dokonali przybysze ze wschodu – dla niego to byli Alanowie a nie Polanie kijowscy. Nie wiem jaka jest haplogrupa Wschodnich Polan? I czy w ogóle jest na dziś rozpoznana? UWAGA! To może być ślad inwazji Ahaiów / Mykeńczyków na południe Bałkanów. Przypominam podobieństwa języków irańskich i gwar helleńskich, patrz tzw. rough breathing, itp!!! No dobrze. Zebrałeś trochę info. Dzięki. Po drugie, mamuty zamieszkiwały rozległe obszary Europy, Ameryki Północnej i północnej Azji. W Polsce też. Więc skoro mieszkały w Polsce mamuty, to i łowcy mamutów musieli się pojawić. Czy ci łowcy wyginęli wraz z mamutami tysięce lat temu? Czy może ich potomkowie (hg R) jednak przetrwali gdzieś w Europie? Do usług. Masz jakąś opinię o głównej tezie tego wpisu? Udowodniłem to, co chciałem udowodnić, patrz nasze rozmowy o rzekomym pochodzeniu Polaków od Scytów, czy Sarmatów przy okazji tego filmiku dr Lubicza i jego poszukiwań szlachty polskiej? Zmieniłaś zdanie i sypiesz popiół na głowę, czy masz jakieś nowe argumenty na poparcie Twoich wątpliwości, co to mojego sposobu widzenia danych? Q pałętała się i w Europie, patrz np. Khvalynsk i w Azji, patrz próbki z Mongolii, itd. Przestałem już dawno temu łączyć kulturę i język z haplogrupami, ale wiem że pewne wzory są dostrzegalne. Dr Lubicz nie uważa potomków azjatyckiej hg N za potomków Azjatów, ale widzi w potomkach europejskiego R1a M417 „dziki wschód”. A przodkowie Czesława nie musieli przecież migrować ze wsch Europy. Co do tezy. Ja nie wiem którzy to byli Scytowie, a którzy Sarmaci. Ale coś mi się zdaje że Sarmaci to na wozach i koniach żyli i nawet jakieś zdjęcia koczowników wklejałam, żebyś klimat poczuł. Takie romskie obrazki z taboru i coś z północy też było. W końcu nie ustaliliśmy who is who. Wiec ogólnie biorąc to nie pochodzimy od nomadów. Ale jeśli Scytowie to byli głównie Z93, którego nie mamy, a Sarmaci – R1b z postYamna to jest szansa, że spory (5%) udział w genach Polaków istnieje. Szczególnie istotne, jeśli, jak sam wspomniałeś byłyby to geny szlachty piastowskiej. Pokaż palcem co tam jest. Wszystko, a nawet więcej. Już kilka razy pokazywałem… Poczytaj moje komentarze. Czytam czytam te twoje wpisy. Może coś przegapiłam. Co ma oczywiście pochodzenie od początek <> koniec. Jak i antykoncepcja czyli przeciwpoczęcie. Możesz w wolnym czasie to przemyśleć. Bo „częto” jest jak sto, a „konce” w koncepcja jak kentum. Dziwne to bardzo. No i zadeptałaś go! 🙂 A co do reszty, sama widzisz, że tzw. kentum i kentumizacja nie jest rozwiązaniem wszystkich problemów. Tym E=mc2 językoznawstwa jest pierwotna satemizacja, jako wzorzec wysokoenergetycznych dźwięków, który z czasem ulegał zniekształceniu przez uproszczenie, czyli utratę energii, patrz entropia. Skribho, i co wg ciebie z tego wynika? Czy to świadczy o migracji R1a M417 z SS do CW? O to ci chodzi? Sredny Stog Ukraine Dereivka I – R1b1, R1b1a, R, R1b1a, I, R1b1a, R1, I2a2a1b, R1b1a, R, I2a2a1b1, R1b1a. I j e d y n e R1a w Dereivka. Sredhy Stog ma wszystko, to, co jest w CWC, czego nie ma Yamna / Yamnaya… Rozumiesz? Ja mam tylko jedno pytanie do autora, bo nie za bardzo rozumiem. Kto był pierwotnym użytkownikiem języka, z którego wykształcił się jeżyk słowiański? Kto był pierwotnym użytkownikiem j. prasłowiańskiego? Ludność o jakiej męskiej haplogrupie? Cz.B pisał już wielokrotnie, że dobra mapa, to ta mapa. http://indoeuropejski.blox.pl/resource/800pxR1a1a_distribution.jpg a tutaj, już coś jest. I… co z tego ma niby wynikać, hm? Zgodzę się ze SS jest lepszym kandydatem od Jamna. Czas pasuje, ceramika w 2 fazie SS jest corded i niektóre próbki mają „kaukaz” w autosomach. Mieli konie i hodowlę. Z tego co jarzę to SS został rozwalony przez Yamnaja. Ale w SS jest b. mało R1a. Dlatego zastanawiam się, jak to się stało że w CW (podobno) dominowało R1a. Z kolei w BB R1b. Coś mi się nie klei. A o co chodzi z Lewitami? circa 5,500 B.C.E. — circa 4,500 B.C.E. Myślę, że domyślam się,.. ale może Ty mi powiesz, bo wiesz więcej ode mnie? Masz rację. Przekonałeś mnie, ze SS miał coś wspólnego z CW. Czy znane są ydna kaukaskie? Czy tylko mtdna H2? Bo wygląda jakby to ten składnik autosomalny wprowadził powszechne jeździectwo na stepie. Czyżby Vinča przejęła wzorce kulturowe od Bug Dniepr za pośrednictwem Criş Starčevo? Pozwoliłeś sobie zamieścić fragmenty z eupedii. Np. o największej różnorodności R1a w Pakistanie i Bałkanach. I o występowaniu bardzo starych podkładów jak M420 w Iranie. Jak to wyjaśnisz? (…) Ponadto zarówno Underhill, jak i Anatolij Kłosow, a także Igor Rozanski wskazują na przybycie Słowian z Bałkanów. Podobne wnioski sugerują ustalenia polskiego genetyka Tomasza Grzybowskiego, który stwierdził pochodzenie żeńskiego rodu H (najpopularniejszego wśród Polek i szeroko rozpowszechnionego w całej współczesnej Europie) z tego samego terenu (Środkowy Wschód – tereny Iranu i Iraku) – i tego samego okresu co męski R1a. Ale ich wyjaśnienie ISTNIEJĄCEJ wysokiej zmienności “as high R1a variance in SEE might be explained by either ancient demography or more recent bottlenecks and founder effects in different Slavic tribes” jest GDYBANIEM naukowców. Wszystkie 3 proponowane (lepsze) przepływy pochodzą z naszej ukochanej Prypeci. Skribho, najpierw zaprezentuj ich dowody. Bo nie może być tak, ze jakiejś eupedii wierzysz bez dowodu, a od innych ich wymagasz. Co nie? Argumenty na 3 migrację weź od Adriana. Co do 2, musisz się zastanowić czy w końcu pln. Step (SS) to CW czy Bałkany? O 1 sam się postaraj. I nie zapomnij o źródłach. O co Ci chodzi? Wg Ciebie nie było migracji ze stepu na Bałkany?!! Robisz sobie jaja, czy ty tak na poważnie? Czy znana jest zmienność R1a na Białorusi, Ukrainie? Musiałaby być NIE NIŻSZA chyba niż w Chorwacji. Ale mniejsza z tym. Do niczego cię nie przekonuję, jedynie zwracam uwagę na fakt, że to Chorwaci i Bośniacy (ludzie nie terytorium) z jakiegoś powodu mają tę najwyższą mikrosatelitarną zmienność, wskazującą na głęboki paleolit (15 – 8 pne). Nie odniosłeś się do „bardzo starych podkładów jak M420 w Iranie”. Nic nie wiesz? „G jest wszędzie w „starej europie”” To „G” byli i EEF i CHG? Jakies J nawet było wśród EHG z Karelczykiem. O pra słowiańskich lewitach? Zaraz przeczytam. Dasz jakieś dowody i źródła, proszę? Nie wiem skad to wziąłeś. Ale do cholery to ty cytowałeś Rudemu. Nie podałeś źródła. Czytaj swoje źródła. Wszystko co napisałam , to na ich podstawie. O paleolicie znajdziesz na eupedii. Masz na myśli jamowców? Massive migration? Czytaj proszę. Przecież ja już to ci cytowałam. I „dodatkowo jest mowa” wyśmiałam, bo to są tzw. ssane przypuszczenia etc. a nie fakty. Ok no i co z tego wynika, bo wysyłamy sobie te same dane już z 5 raz? W jaki sposób podważa to, co twierdzę, bo nie rozumiem do czego pijesz? Nie. Nie. Nie. Czytałam dotychczas co mi serwowałeś, ale mam dość. Powtórze — Masz na myśli jamowców? Massive migration? Tak? czy Nie? A może to o czym ona pisała nie ma ŻADNEGO ZWIĄZKU Z R!A, TYLKO Z TZW. DOMIESZKĄ STEPOWĄ, hm? Umieściłeś we wstępie swojego tekstu dane o R1a. Wiec ja chcę wiedzieć jak je interpretujesz. Czy znasz prace Semino et al. 2000; Wells et al. 2001, które widnieją jako źródła podanych informacji? Po drugie, uważam dane za istniejący fakt. Po trzecie, wyjaśnienie tego faktu zależy od wiedzy, wyobraźni albo przyjętej narracji. Eupedyści uważają, że wysoka różnorodnośc R1a wśród Chorwatów mogła być spowodowana migracją Słowian prypeckich na Bałkany. Adrian zaprzeczy i zaproponuje migrację Wandalów z nad Wisły na południe. Gość Oon może obstawiać bajkowy scenariusz, w którym współcześni Chorwaci mogliby być potomkami armii Lechitów walczącej z Macedońskim, najsprawniejszych i najodważniejszych facetów z całej rozległej Lechii. Im większa różnorodność genetyczna tym większe terytorium z którego przybyli. Itd. Wrzuciłeś moje koments do spamu? Pytałeś o lewitów. IMO to przeciwieństwo prawitów. Jak prawo – prawdziwy i lewo – lewizna. Prawosławie i lewosławie. Swastyka i suavastika. Ale sie jeszcze zastanowie, bo były chyba jakies systemy dualne. (…) „The Genographic Project is exploitative and unethical because it will use Indigenous peoples as subjects of scientific curiosity in research that provides no benefit to Indigenous peoples, yet subjects them to significant risks. Researchers will take blood or other bodily tissue samples for their own use in order to further their own speculative theories of human history„. Ona stara się wyjaśnić przyczynę bez dowodowo. Jak jej się wydaje. I tak żeby nie naruszyć przyjętej narracji. Zauważa możliwość polodowcowej migracji z refugium, czyli obecność R1a na Bałkanach nieprzerwanie od tysiącleci. Baaardzo wielu Możliwość migracji z północno pontyjskiego stepu. Więc ma na myśli chyba nie stricte Jamna. Bo przecież mówi o R1a a nie R1b. Czy ty czytałeś Mathieson 2017? Radze przyjrzeć się tej Olesi. Pericić napisała wszystko i jak sama napisałaś że zrobiła to bez podawania danych, które potwierdzą jej wzajemnie sprzeczne twierdzenia. Gdzie ona twierdzi, że to, co podaje dotyczy R1a,.. a nie np. I2, czy R1b, które też były na stepie, patrz dane z próbek? Jak mnie wywalisz i utopisz w szambie, to zeschnę z tęsknoty. Poza tym ja wierze w twoją uczciwość. Więc nawet gdyby prawda okazała się inna niż to dotychczas wydedukowałeś, to zwyczajnie przyznasz się do błędu. Bo błądzić przytrafia się najznamienitszym umysłom. A poza tym mam wrażenie, ze R1a było ruchliwe i chodziło po świecie w te i we w te. „Gdzie ona twierdzi, że to, co podaje dotyczy R1a,.. a nie np. I2, czy R1b, które też były na stepie, patrz dane z próbek?” Ojoj, miej litość. Przecież ona stara się wyjaśnić “this deep Paleolithic signal as high R1a variance in SEE”. Rozumiesz? Chodzi o R1a, I tylko o R1a. „Czytam różne rzeczy…” Ja tego nie czytałam. Ale sądzę, ze cię zainteresuje, zwłaszcza Olesia, zwana Alexandrią. Którą w tekście wymieniasz przecież. Ok. Pericic powinna zobaczyć próbki z Sredny Stog nie sądzisz? Jeszcze nie dawno forsowałam północ (z zachodnim odchyleniem). A dziś myślę, ze to trudno ogarnąć ze względu na mobilność. W każdym razie cieszę się, że bierzesz pod uwage taką ewentualność. „Pericic powinna zobaczyć próbki z Sredny Stog nie sądzisz?” A czy wiele tam uzyska wiedzy na temat R1a? Tylko 2 próbki. Czy myślisz że to oni przynieśli różnorodność R1a na Bałkany? Zaufaj choć raz „dr Watsonowi” i ty obejrzyj próbkę o której wspominałam. Proszę po raz trzeci, wiec ostatni. Sprawdziłem to i rzeczywiście nie zamieściłem tych danych!!! Wielkie dzięki jeszcze raz! Nie wiem, jak to przegapiłem, ale przegapiłem. Ależ umieściłeś między Samara Eneolithic Russia Khvalynsk II a Varna group Bulgaria Varna. Adrian w swojej 1 części tez ją wymienia. Jest to jedna z trzech zaznaczonych na mapie https://skrbh.files.wordpress.com/2017/11/rys-1-najstarsze-odkryte-prc3b3bki-r1a.jpg?w=960, oznaczona „oldest R1a M417”. Nie masz za co dziękować. Ja bym chciała, żebyś jej się lepiej przyjrzał. Jak rasowy genetyk ją zbadał. Wszystko w porzo. Jeszcze kontrolujesz co piszesz. A immunitet ma wysoką wartość. Ten oldest M417 ma dziwne a dna. 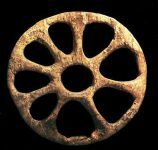 Strona do Mathiesona na biorxiv do której mam link nie działa. Wiec nie mogę tego sprawdzić. Ale pamiętam, że ta próbka z Aleksandrii różniła się w aDna od EHG łowców wschodnich. Wyglądała jak mieszanka CHG z EEF. Może przez to coś znajdziesz? No właśnie. Te kaukaskie H żony pojawiły się już przed Yamna na Bałkanach i Ukrainie. I oldest M417, którego szukam od 3 lat pomieszał mi w głowie tym swoim max Kaukazem autosomalnym. Dlatego chciałam żebyś Ty go obejrzał. Do niedawna wyobrażałam sobie że R1a to w przeważającej cześci EHG z północnego wschodu. Im bardziej na zachód – wymieszani z WHG. Pisałam ci o Skandynawskich próbkach nazwanych SHG, które były po prostu mieszanką WHG z SHG. Taki mieszany łowca zbieracz występował w pasie od Skandynawii po morze czarne. Wiec za komponent EHG w Corded Ware uważałam odpowiedzialnego R1a M417. Za rolniczy EEF resztki po LBK. Po odrzuceniu bezpośredniego wpływu z Yamna jedyny problem sprawiał komponent Kaukaski. Ale ta próbka z Aleksandrii sprawiła, że się zastanawiam, czy to nie R1a M417 wprowadził Kaukaz do CW. Nie spodziewałam się tego zupełnie. Że R1a M417 okażą się Kaukazem z elementem rolniczym. Jak odwróceni Minoańczycy. A tu nie pokręciłaś czegoś? SHG samo z sobą i z WHG zmieszało się? Mylisz się. Ta najbardziej kaukaska to Aleksandria. Nasz oldest M417. Dlatego pytałam ciebie o zdanie, bo mnie zaskoczył. Jakoś tak było: 70% CHG może 25% EEF i odrobina po łowcach. Nie mam pewności czy on pomimo zaliczenia do wspólnej kultury jakoś się nie różni. Dereivka są starsi. 5500-4800 BCE. Alexandria 5000-3500. Skąd wiesz, że Alexandria ma CHG? Pokaż tu te dane w zestawieniu z innymi SS, ok? Dziwne, że R, R1, R1a, R1b I i I2 z SS nie mają CHG… Nie sądzisz? Napisałam ci, ze strona się nie otwiera, a nie wiem gdzie jeszcze to było publikowane. To właśnie jedna z tej trójki. Masz to? Adna innych próbek nie było, więc nie wiem jak te komponenty u nich wyglądały. Ale zapamiętałam, ze z 3 to Aleksandria była najbardziej kaukaska. Trochę to mało wyraźne twierdzenie… jak na 15 próbek… Tu masz namiary na działający odnośnik, który już Ci podawałem w namiarze na wpis na eurogenes. Dzięki Skribho, ten drugi link do Mathiesona jest w porządku. Ja tego nigdy nie czytałam, jedynie kiedyś przejrzałam obrazki. Podawane przeze mnie wczoraj dane były z pamięci. Czyli porównując z oryginałem pi razy drzwi. Później przejrze to wszystko. (Mathiesona + twój nowy wpis) Jak znajdujesz czas na czytanie i pisanie i jeszcze odpowiadanie na komenty takim marudom jak ja? Ok, a tak poważnie jestem czystym złem… i czyham tu jak krwawy sowiecki pająk na ludzkie dusze, żeby je hm… eee… Po co na nie czyham? A no tak,.. żeby je zabrać ze sobą do piekła na Łubiankę… i piec je w piecu, jak piccę… Oczywiście tylko po to, żeby podać tę dobrze wypieczoną pieczeń Mojemu Władcy na śniadanie, se słoniną, kartoflami i stakanem wódki… Co tam stakanem… z wiadrem!!! To jedyny powód mojego istnienia. Ciekawe komu lub czemu służą inni i dlaczego tak strasznie dają ciała? Służą jakimś cienkim bolkom? UWAGA! HITLER SIĘ MYLIŁ! To nie Niemcy są potomkami starożytnych Ariów, ale… Polacy. Dowiedz się więcej z naszego wywiadu z polskim badaczem, który dokładnie opisał wyniki najnowszych badań! Co więcej ostatnie badania wskazują, że późniejsze ziemie polskie były kolebką Ariów, którzy dopiero stąd wyruszyli w kierunku Iranu i Persji. Marek Skalski, redaktor naczelny portalu http://www.niesamowitahistoria.pl rozmawia z profesorem Mariuszem Kowalskim o arcyciekawym fakcie a mianowicie: Arianie i Polacy. Kto tak naprawdę wywodzi się z Ariów? Czy Słowianie czyli Polacy sa kontynuatorami tej liczącej 3000 lat ciągłości? Nie wiem skąd u nich taki owczy pęd? Dopadło go znane u Białczyńskiego podpinanie się pod ludy „znane z tego, że są znane”. Nie zauważą, że Ariowie to tylko odłam wielkiego słowiańskiego ludu, który podążył swoją drogą. Ten owczy pęd do aryjskości jest wg mnie podyktowany polityką. Środowiska konserwatywno-liberalne „zaprzęgły do rydwanu bieżącej polityki” kwestię aryjskiego pochodzenia Polaków. Im wcale nie chodzi o szukanie prawdy o rzeczywistych korzeniach naszych przodków.